Cartography is the art and science of making and using maps, which are symbolic representations of geography. A professional who is skilled in drawing various kinds of maps and charts is known by the name Cartographer or a Map Maker. Cartographers are part of a larger occupational group called mapping scientists. A cartographer is involved with the scientific, technological and artistic aspects of developing and producing maps. Cartographers use data collected from surveys, aerial photographs, satellite images, and other sources to create maps, charts, and drawings of the Earth's surface. Cartographers develop maps for a range of clients. This can be military maps to geological charts used by industries, as well as everyday maps detailing roads and footpaths for tourists or travelers. Cartographers collect, analyze, and interpret both spatial data—such as latitude, longitude, elevation, and distance—and nonspatial data—for example, population density, land-use patterns, annual precipitation levels, and demographic characteristics. Maps may be prepared either in graphic or digital form with information from satellites, light-imaging detection and ranging (LIDAR), aerial cameras and other geodetic surveys and remote sensing systems. A Cartographer's role varies widely from the development and design of geographical information to more strategic and technical work. For centuries, maps have been essential tools to understand and navigate through the world. Map-making is an art that dates back to almost 7,000 years. In the past, Cartographers had to spend a lot of time in the field and create their maps by hand. Today, most of the data they need to access is stored in databases, and maps are created digitally using computer software which allow maps to be created quickly and accurately. Geographical information systems (GIS) and digital-mapping techniques now dominate the role. They also use specialist tools such as photogrammetric equipment to scan and analyse aerial photographs. As their work may be associated with outdoor activities like surveying and exploring, Cartographers will spend most of their time working indoors. To be a Cartographer is not an easy task, as they have to work in varying conditions at different places that too endlessly for several months at a stretch, sometimes. Traveling to get information, is quite common within this profession. Most Cartographers earn a bachelor's degree or diploma in Cartography or a similar field such as surveying, geography, geology, engineering, computer science, earth science or a physical science. Additional classes in mechanical drawing, drafting, geometry, trigonometry, algebra etc helps aspirants who wish to take up cartography as a career. Cartographers must have a sense of design to understand detailed photographs and drawings. Cartography is far more than just drawing maps, it involves a lot of research, study, and mathematical ability as well. To be an expert cartographer, one has to be very hard working and dedicated. Cartographers must be precise and accurate, have good interpersonal skills, and be able to visualize objects, distances, sizes, and other abstract forms. As a cartographer you need to have patience, as it may take many months to complete a single sheet map. Accuracy and attention to detail with a methodical and neat approach to work is prerequisite for this career. Most of the countries will require licensing for Cartographers and the licensing requirements may vary depending on the country or state where the candidates wish to work. The importance of cartographic professionals have increased incredibly with globalization and the need for all the information/data of the universe to be at one place, and that too, in digital and visual format. Maps and detailed geographical information are needed for a range of purposes, from everyday use by individuals to large-scale industrial development. They are used by planners, engineers, utility companies, state agencies, construction companies, surveyors, architects, and ordinary citizens. Other than these, maps are also used for a variety of purposes, including topographical maps, maps related to town planning, weather forecasting, travel and tourism, geological or mineral exploration, and military and development of geographical information systems. Cartographers therefore work within a variety of areas, including publishing, government, surveying and conservation. 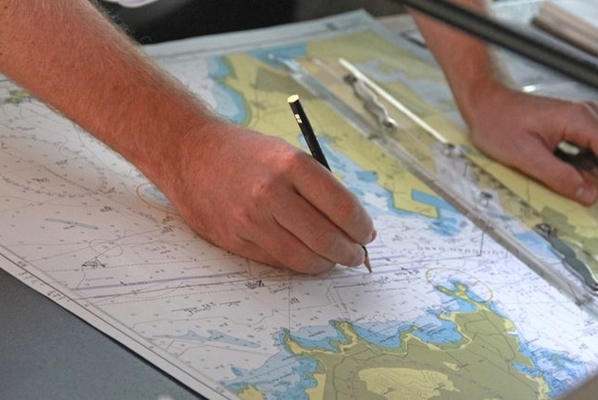 The government is one of the main employers of cartographers, in departments including Ordnance Survey, the Ministry of Defence, tourism departments and the Department of Transport. Several private sector organization using GIS and remote sensing technology also require the service of a qualified Cartographer. You could work for local authority planning departments, oil and utility companies, universities, commercial map publishers and the Geological Survey. Cartographers can join NGOs and other developmental agencies engaged in population studies, rural development and various environmental issues. Cartographers can also join the Survey of India or state Survey Departments or Private organizations such as Eicher maps, Google maps etc. Teaching in schools/colleges/universities is also a good option for a Cartographer. They can work with various research institutes. Some Cartographers, called project cartographers, work on a short-term freelance basis. Businesses that deal with selling maps, producing maps for encyclopedias, reference books and atlases, publishers, planners, engineers, architects also need cartographers. Earnings are mainly based on factors such as educational qualification and work experience. Location is another important variable. Salary also depends on the organisation one works for. Probably private companies pay higher wages along with other benefits, when compared with government and public organisations. However, the initial package is not as lucrative as in other hot careers. In the field of Cartography, a qualified person can expect a starting salary somewhere around Rs. 10,000 - 15,000 per month. If one decides to join some overseas organization, he can get anywhere near Rs.5,00,000 to Rs.10,000,00 per year depending upon the organization. After a couple of years of experience one can earn as good as Rs.50,000 per month and more.